I don’t know whether it is the world of Middle-Earth that made me fall in love with Great Britain, or whether it’s this country that made me fall in love with Middle-Earth and all things Lord of the Rings. They are both so similar, and with good reason, as Tolkien based the Shire on his home county of Shropshire. I see much of Middle-Earth wherever I go in the UK: Rohan in the Scottish Highlands, the lovely and peaceful Shire in the English countryside, Lothlorien in forests all over Great Britain, the pride and enduring strength of Minas Tirith in the fine old buildings of Oxford. There is something about the jolly manner of the English that I recognise in hobbits; something to do with their love of feasts and parties, no matter the occasion. I’ve been a fan of Tolkien’s work since I was eleven; a lasting love story that is only triumphed by the affection I hold for Harry Potter (fervent fan since 1999). The end of the trilogy on the big screen left me weepy and forlorn but hopes that The Hobbit would be adapted too kept my spirits up. It was supposed to come out in 2010; we are now at the end of 2012 (already?! Where has this year gone?). And finally, finally, the diehard fans can release their breath. The Hobbit, part 1, is coming to theatres! Yes, I just hopped off my seat and did a little dance. Goodness knows I’ve been waiting for years to do it. Just in case you never saw the first trailer (have you been living under a rock?! ), here it is for your personal enjoyment and education. Richard Armitage’s voice gives me the good kind of shivers. It is simply breath-taking. I can’t believe it’s finally happening. This Friday 21 September is the combined birthday of Bilbo and Frodo Baggins and we shall celebrate in style. 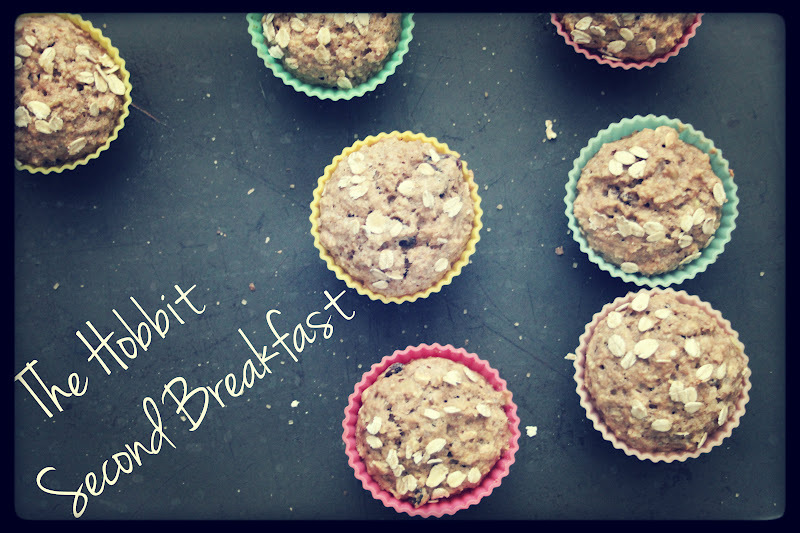 This demands a second breakfast in true hobbit fashion. If you don’t know what a second breakfast is (I shake my head at you), have a look at this video. Oh and then of course there’s elevensies. Hobbits have busy days, you know. 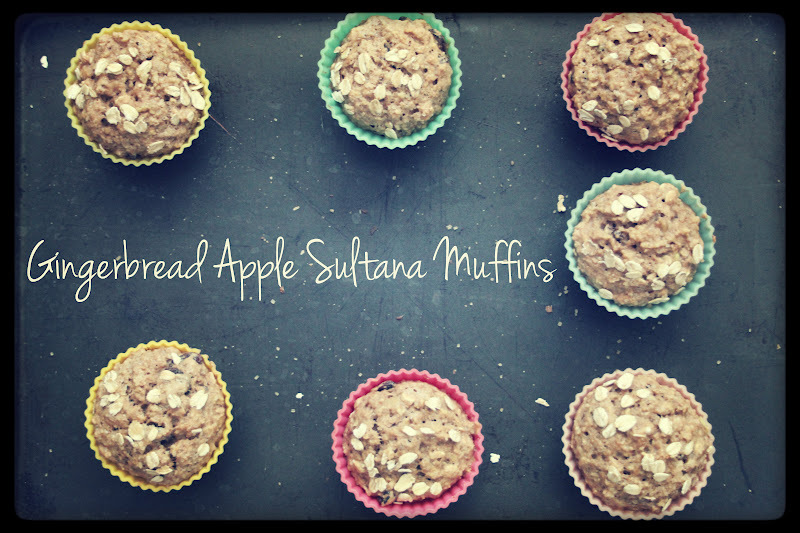 So how about this for your second breakfast: apple and sultana gingerbread muffins. I don’t know whether they would have had access to spices such as cinnamon and cloves in the Shire, but I imagine that just as we import spices from India, they must have imported them from some southern country. And anyway, it’s inconceivable that they would not have had these light and moist, deeply comforting and homely muffins int he Shire. I raise a mug of freshly-brewed tea to you, my friend, and wish you a merry second breakfast. 1. Pre-heat the oven to 180ºC. 2. Combine all the dry ingredients in a large mixing bowl. Add the rice milk and grate the apple into the mix. Combine with a spatula. Don’t worry about leaving lumps in the batter; this adds to the rustic, homemade effect. 3. 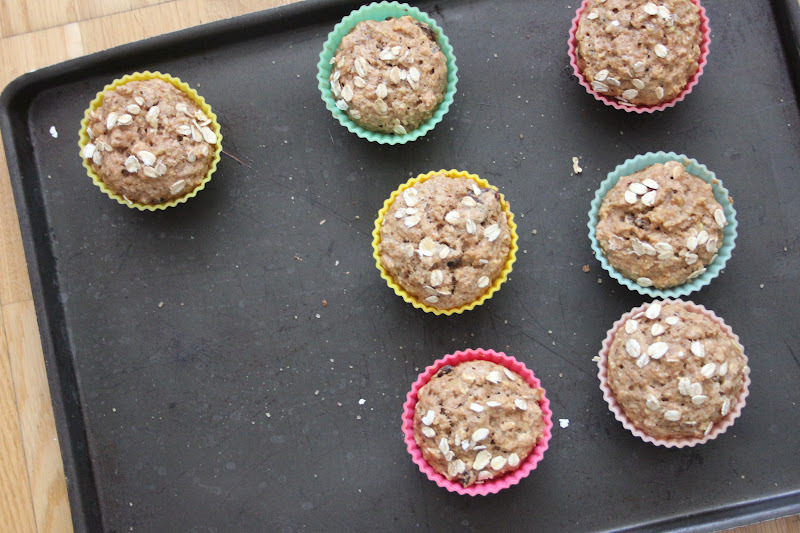 Spoon the batter into lined muffin tins and top with a little bit of brown sugar, oats and orange zest if you like. Bake for 25 minutes. Now, what shall we have for elevensies–and luncheon, afternoon tea, dinner, supper? Let’s not forget a nightcap, either, though Pippin seems to have (tut, tut). haha, we have very similar cravings…delicious looking little muffins! !